"Authentic and technical pants for hiking and trekking. Inspired by a historical bestseller, the Rocaldens are functional and comfortable, thanks to stretched waist, leg adjustments, multiple pockets, and stretch panels. 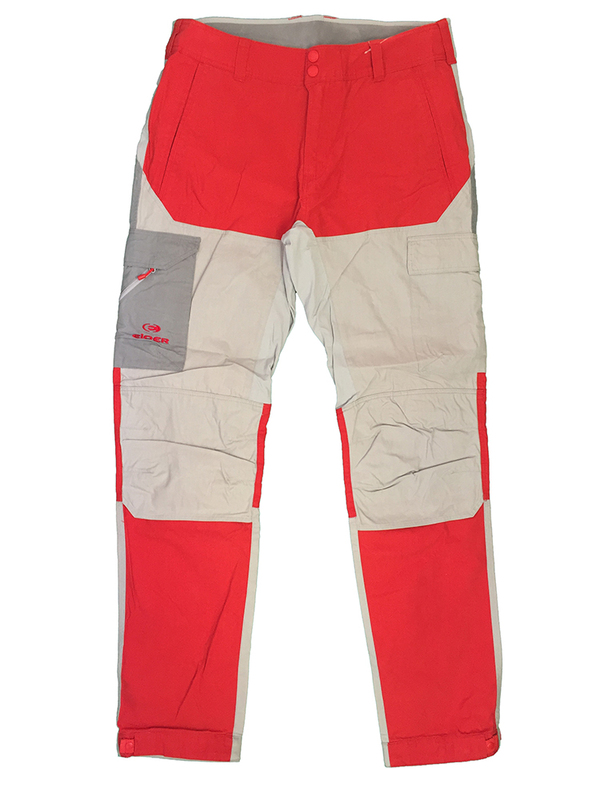 When your weekend adventure takes you from stream crossings to alpine summits to campsites and back, one pant that can do it all is the Rocalden Pants. Mapped materials team up to ensure optimum performance: Quick-drying full-stretch softshell panels provide weather resistance and breathability, while the Cotton Canvas promises durability. With ample pockets and throw-back alpine style, the Rocalden Pants are truly made for the mountains. SOFTSHELL 4 WAY STRETCH DOBBY, UPF 50, 88% POLYAMIDE 6% ELASTANE "